The all-in-all solution for creating your customized white-label virtual currency exchange software. 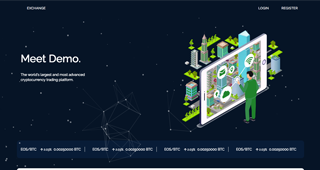 Infinite Block Tech is a Virtual Currency exchange development company building a complete and reliable digital asset exchange software to facilitate secure, easy, and fast transactions. We are one of the pioneers in the digital asset exchange development platform, with developers whose priority is in the safety and security of the exchange. Can view all current functions, including KYC, Tickets issued, Referrals and all transactions. Any virtual asset can be integrated to the exchange with integration mail service and SMS service providers. The exchange will support multiple languages, including Mandarin, Korean, French, and Russian. Text readable SEO widget allows admin to add focus keywords, which will turn up on Google search. Effective risk management to reduce stop loss and thereby, increase the number of trades. Borrowing virtual currency to trade in the platform to make a profit and return to the lender at a predefined rate. Users will get direct commissions and referral commission after that trade of the referral has been completed. 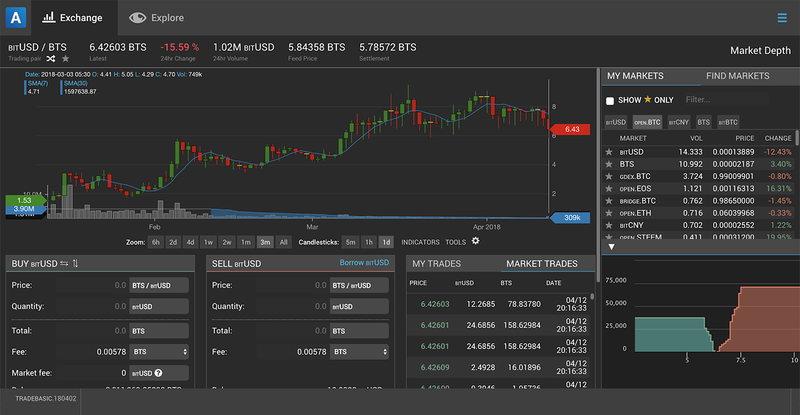 IBT Virtual Currency Exchange Platform allows to mirror orders optionally and increasing liquidity. The matching engine supports 150k orders per second and different types of orders. 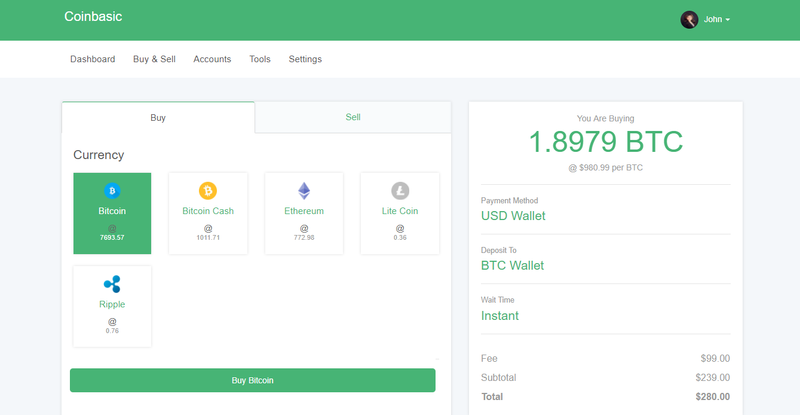 Multicurrency Wallet supporting fiat and Virtual Currency with multiple payment and withdrawal methods. Users can deposit and withdraw Virtual Currency via Visa/Mastercard, Wire Transfers, and other methods. A Market Order will allow the user to trade virtual currencies at the current price. The user can set a market buy or market sell in order to protect themselves from slippage in a volatile market. A Limit Order will allow users to trade virtual currencies by placing an order on the hopes that it will be fulfilled by someone else’s market order. The orders are not limited to slippage due to volatility in the market. The user can set a Limit Buy or Limit Sell. Stop Order is a conditional market order where the user sells the order after reaching a specified price. A user can set a Stop Buy or Stop Sell/Loss thereby taking precautionary actions. Buy Stop order or Stop Loss order is placed when the stop price is about or below the market price. This is used either to limit a loss or protect the profit on a Virtual Currency in the exchange. Copy Order is an order where a user receives updates on the top digital asset traders and copy their trades. This will help beginners to the digital asset trading. The top order would receive a commission based on the earnings of the copy trader. Peer to Peer Trading allows buyers and sellers to negotiate a price before a digital currency is transferred. The virtual currency is stored on escrow, thereby ensuring the safety of the digital asset. Only when the buyer and seller agree is when the transaction is completed. The Virtual Currency exchange platform development that is chosen must have higher transactions per second and must be able to handle high volumes. The trading platform should be free from system crashes, server issues, and other irregular behaviors that could cause reputational issues. The Virtual Currency market is volatile and it is important to be kept up to date on the market news and hedges. The exchange must be able to weather unexpected contingencies in the virtual currency market. The critical aspect of developing an exchange is to incorporate the company in virtual currency friendly countries, with a focus on operating in a global market. Regulations, such as KYC, AML & GDPR, must be followed as per jurisdiction. A secure banking facility is a highly critical component and the strategy must have an agreement with the bank as soon as possible. Depending on the location of the virtual currency exchange, formal banking is not important. Create extensive and customized virtual currency exchange software built by our dedicated and proficient blockchain engineers for hassle-free transaction solutions.